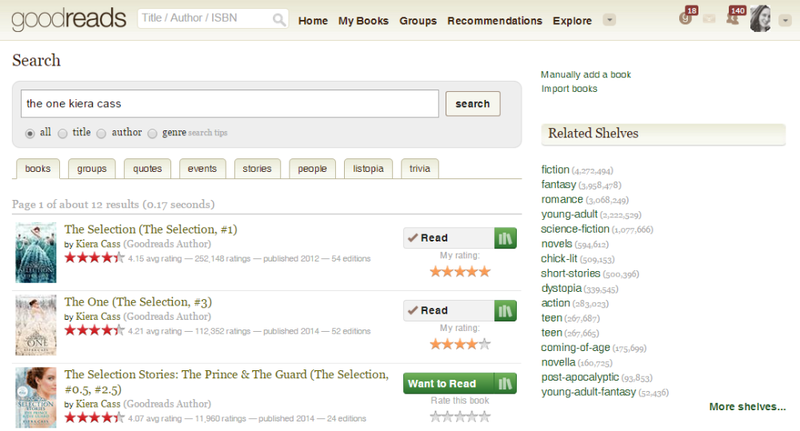 Notice how [goodreads] is used as the link placeholder. You must manually add the Goodreads URL into the box on the Edit/Add Post page. The link leads directly to the listing of the book. Then, in the code, the [title] placeholder gets replaced with the title of the book, and the [author] placeholder gets replaced with the author's name. 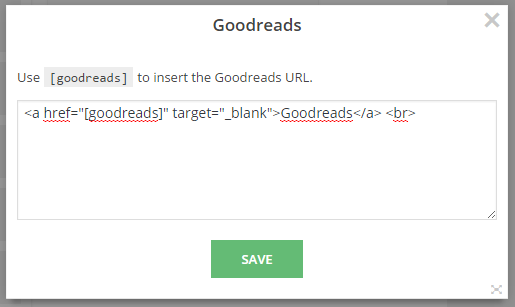 When using Dynamic Links, you can leave the Goodreads URL box completely blank on the Edit/Add post page. 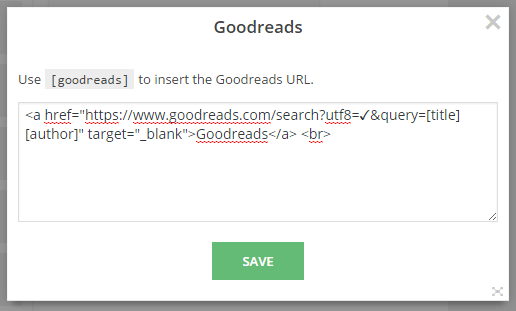 The Goodreads URL will still be added to your post automatically. This takes us to the search results page for "the one kiera cass". Since it's a search results page, your readers will have to go through an extra step of clicking on the correct book, which may not always appear as the top result. Go to Ultimate BB » Book Information and find the field for Enable Dynamic Links. Switch that to "On". You can change the surrounding text/markup to whatever you want, but you must use that value inside the href="" tags. After editing the label, make sure you click the blue Save Changes button. 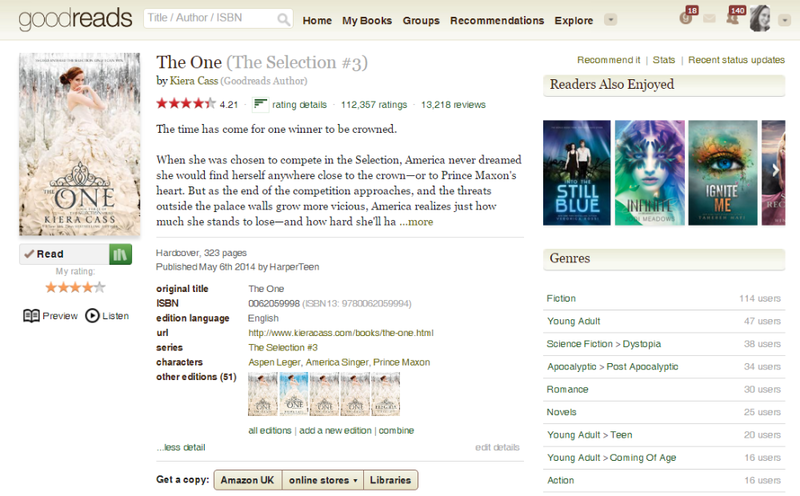 If the box contains the code [nolink] then the Goodreads or purchase link will not show up on the post.